When a tobacco pouch can impress non-smokers, it must be special! 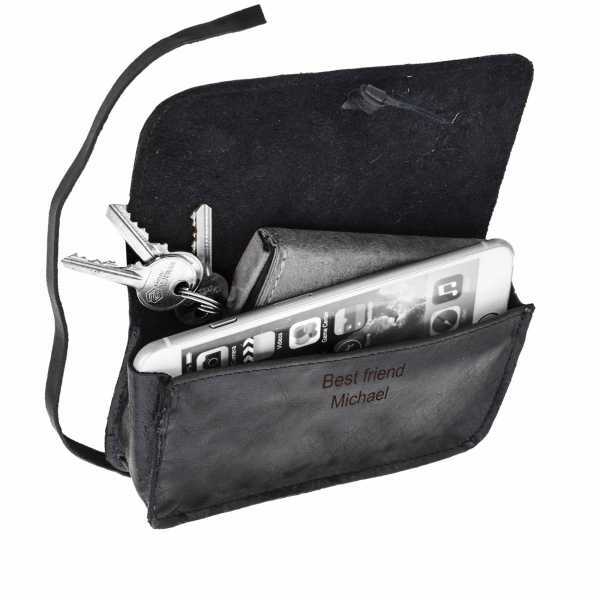 Not only do cigarettes, tobacco and all kinds of smoking utensils fit comfortably into it, but the pouch can also be used very easily as storage for your headphones, keys or batteries. "Bradley" is made from naturally tanned goatskin leather and certainly stands out with its vintage look. The main flap prevents anything from falling out and the leather strap can be wrapped around the pouch to ensure that your belongings stay with you all day long.